The Inaugural Islamic Finance Forum of South Asia (IFFSA) will be held on 26 and 27 July at the Ramada, Colombo. Luminaries in the field of Islamic Finance from South Asia, including representatives from India, Pakistan, Maldives and Bangladesh, will be joined by experts from the USA, Singapore, Malaysia, Mauritius, the UAE, Kuwait and other nations in a two day event that is expected to break new ground in an industry that has exhibited the fastest growth in the financial sector on a consistent basis over the past few decades. It is especially significant that that this landmark event is being hosted in Sri Lanka for its maiden entry into the IBF Conference circuit. Many of the attendees present at this event are also expected to continue their journey to the next event on the Conference circuit, the World Islamic Economic Forum (WIFE), which is scheduled for the first week of August in Jakarta. WIFE is expected to witness strong Sri Lankan representation and it has been reported that the keynote address will be made by Prime Minister of Sri Lanka Ranil Wickremasinghe. The keynote address at IFFSA will be made by the erudite speaker, Dr. Razeen Sally, Director of European Centre for International Political Economy (ECIPE), Singapore. 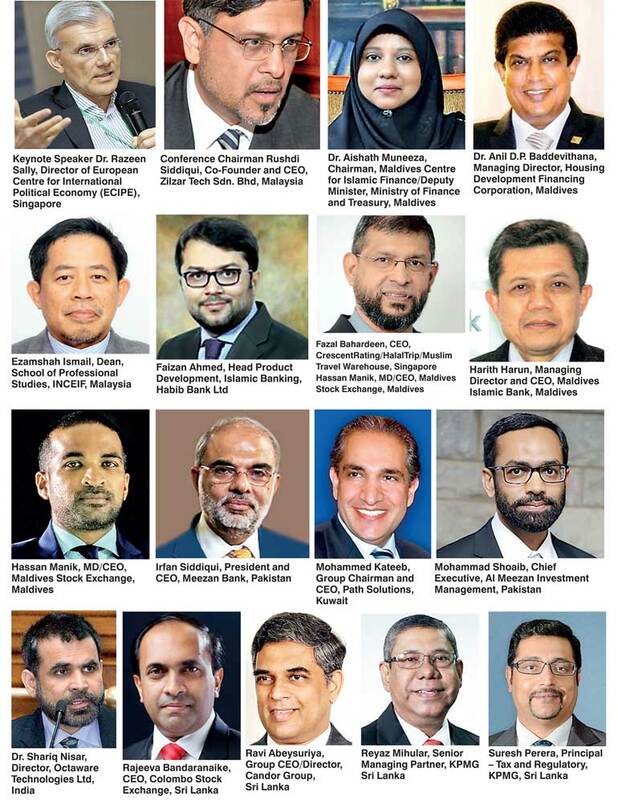 The Conference Chairman at IFFSA will be Rushdi Siddiqui, who has been one of the most well-known personalities in the IBF world for the past three decades or so, having been at the helm of the Islamic Finance divisions of two global behemoths, Dow Jones Indexes and Thomson Reuters. He is currently the CEO of Zilzar Tech Sdn. Bhd, Malaysia. The Conference will feature speakers and panellists from over a dozen countries, deliberating on a variety of topics. The speakers would include CEOs and other ‘C’ level executives of many institutions across South Asia as well as the Middle East, Africa and South East Asia. A key area of discussion would be the issue of how the Islamic Finance industry could assist in complementing the nation’s respective growth programs. Sukuks, which has gathered significant momentum in the recent past as a result of the Government of Sri Lanka’s espoused objectives to explore alternate sources of funding, would be part of the discussions. Other areas would include Microfinance, Capital Markets and the Asset Management industry. The timing of the event is opportune, given Sri Lanka’s lofty aspirations on several fronts. This would include the earnest endeavour to achieve the formidable targets that have been set as its growth targets. The IBF industry could undoubtedly play an important role in acting as a catalyst or even a conduit to attract investments into the country, both in terms of FDI as well as long term funding. Other areas that would be explored at the conference would be the potential positioning of Sri Lanka as a hub, albeit a regional one in IBF, to add to the five hubs that have already been identified.